If you’ve ever suffered from eczema then you understand how awful it can be. Finding relief from over-the-counter topical eczema treatments, however, can be a challenge. Often times, I’ve found, these products make my eczema worse. This natural eczema treatment is different. Formulated using only natural ingredients known for their ability to help relieve inflammation, itching and dryness, my natural eczema relief balm offers real relief for your eczema or dry skin – with or without essential oils. The struggle to find a natural eczema treatment that works. You may remember my anti-aging serum recipe I shared two weeks ago. The carrier oils used in that serum are also incorporated into my natural eczema treatment. So if you’re looking for more ways to use those ingredients, this natural eczema relief balm is the perfect recipe! While I’ve been lucky and haven’t struggled with eczema since eliminating most dairy products from my diet, not all of us are able to escape our eczema through diet alone. In fact, my dear friend Cathy, recently had her eczema flare up so badly, she ended up with open wounds from scratching. And, like most of us, she went through an array of over-the-counter eczema treatment products. None of which actually offered any relief from her symptoms. A few of them, in fact, actually made her skin burn. While others made the itching worse. As I had plans to meet up with Cathy for Wine & Art Wednesday, I quickly threw together a natural eczema remedy for her irritated skin. My natural eczema relief balm worked fabulously on Cathy’s eczema. While the anti-aging serum (sans the essential oils) I also created the same day, did wonders for the eczema on her face. 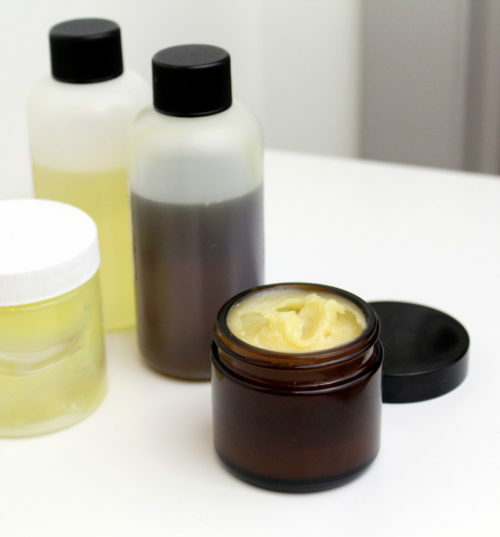 Crafting a natural eczema relief balm recipe. 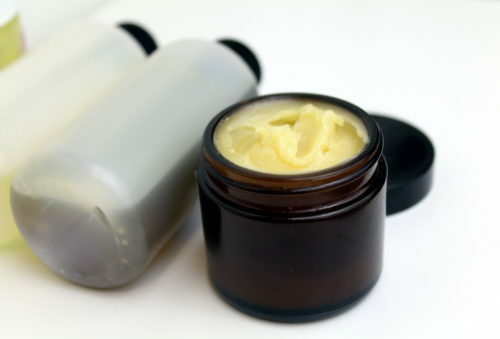 Since making my natural eczema treatment for Cathy, I’ve revised my natural eczema relief balm recipe three more times. The recipe I’m presenting you with today, is the result of those changes. This natural eczema remedy has the consistency of a rich, creamy beauty balm. It fully absorbs into skin after about a minute or so. In addition to soothing itchy and inflamed skin, it also moisturizes and protects skin while still allowing skin to breathe. I formulated my natural eczema treatment with essential oils. 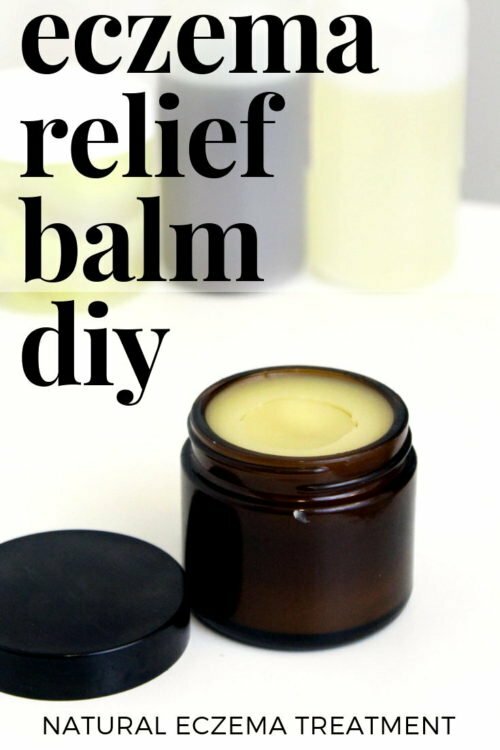 However, if fragrances or essential oils irritate your eczema, you can simply omit them from my natural eczema relief balm recipe. 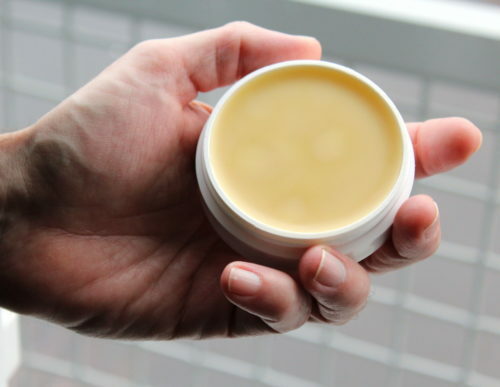 The remainder of my eczema repair balm is made up of other primarily plant based, natural ingredients with the exception of lanolin and beeswax. 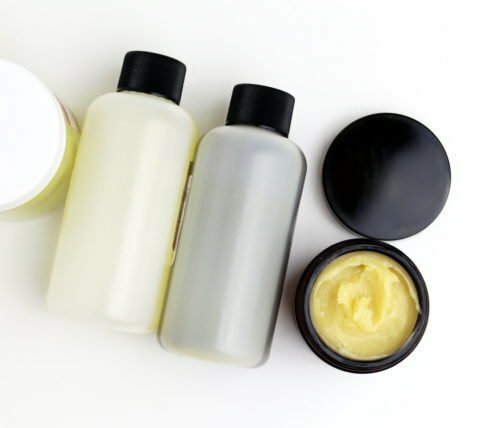 These ingredients include skin conditioning shea butter and murumuru butter as well as rosehip seed, moringa seed and borage carrier oils. 100% vitamin E oil is also added for its ability to promote healing. About the ingredients in my natural eczema treatment. Every ingredient used for my natural eczema relief balm was chosen with care for its ability to remedy eczema. Following are details on the skin care benefits of some of these ingredients. Now that you know a little more about the natural ingredients that went into my natural eczema treatment, let’s get started making it! You will need a digital scale to weigh out the ingredients for this natural eczema treatment. Begin by weighing out the shea butter, emulsifying wax, murumuru butter, lanolin and beeswax. Combine the ingredients in a double boiler and heat over medium low heat until all the ingredients have melted. Turn off the heat. Then weigh out the rosehip seed oil, borage oil and moringa seed oil. Stir into the melted butters, waxes and lanolin. Now remove the ingredients from heat. Add the vitamin E oil and essential oils. Stir to combine. Then pour into your containers of choice. I used a combination of 2 oz. glass amber jars and 1 oz. white polypropylene thick wall plastic jars. Allow your natural eczema relief balm to cool completely. Once it has solidified, screw the caps onto your containers. To use your natural eczema treatment, simply massage onto affected area as desired. Allow the balm to sink in. (This may take a minute or two.) Then reapply as needed throughout the day. Wet wrap therapy for moderate to severe eczema. For really bad eczema, I also recommend using this natural eczema relief balm in conjunction with wet wrap therapy. Wet wrap therapy is another natural eczema treatment for moderate to severe eczema. Eczema wet wrap therapy creates a physical moist barrier for your skin. When used in conjunction with an eczema relief balm or cream, it helps the moisturizer penetrate skin more deeply. This natural eczema treatment can significantly improve your skin’s condition in as few as two days. Learn more about wet wrap therapy for your eczema, along with instructions, here. 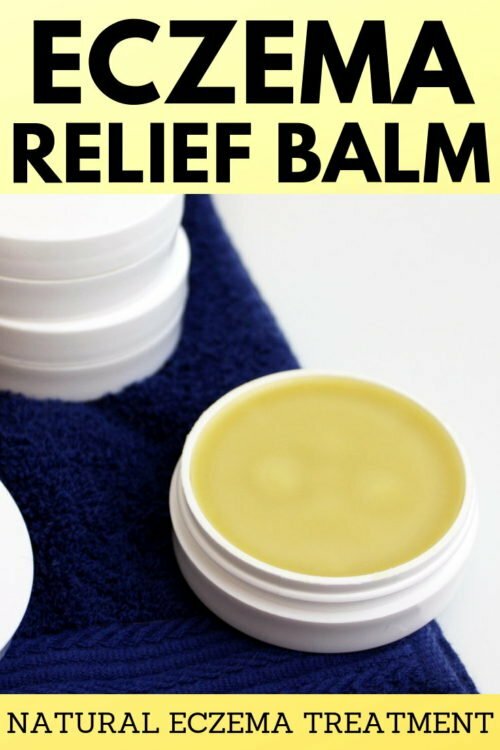 If you like my natural eczema relief balm recipe, then you may want to consider one of these other natural eczema treatments. What’s your favorite natural eczema treatment? Share your success stories – or struggles with eczema – in the comments. To receive updates when there are new recipes available from Soap Deli News, sign up for my semi-weekly newsletter. You can also follow me on facebook and instagram. Natural Eczema Balm? Or something I can purchase similar? I’m sorry, but I do not sell any products. It’s possible you may be able to find someone on Etsy to make it for you. 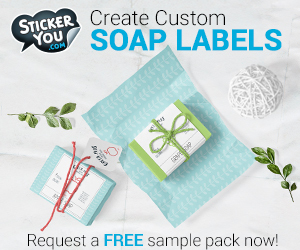 Or you can purchase a similar product there. Why you use emulsifying wax in this eczema balm cream recipe when there is no water in ingredients list? 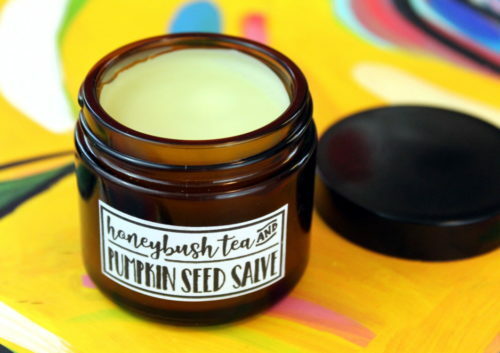 It helps make this balm feel creamy rather than hard, like a salve, for a smooth application. Great recipe and information however I’m wondering would this be good for psoriasis? Although the two conditions are similar treating them are different. Is this a good treatment specifically for psoriasis or do you have a recipe just for psoriasis. Psoriasis is an autoimmune condition. So any natural remedy such as this recipe can help to soothe psoriasis and ease inflammation. However it’s not going to clear it up or solve the underlying issue. A prescription from a medical doctor is your best bet for controlling psoriasis and keeping symptoms to a minimum in addition to avoiding foods known to exacerbate the condition such as dairy and processed meats. My little boy is 10 months and has suffered from eczema since he was around 6 months, touch wood, since using Foderma his eczema has gone! I use it on him religiously every day even though his skin is now clear. We tried every cream, lotion and oilment the doctors gave us but nothing helped. Childs farm worked for a short period but then his eczema came back, since using foderma his skin is perfect, would definitely recommend this serum as it also helps massively to prevent itching!